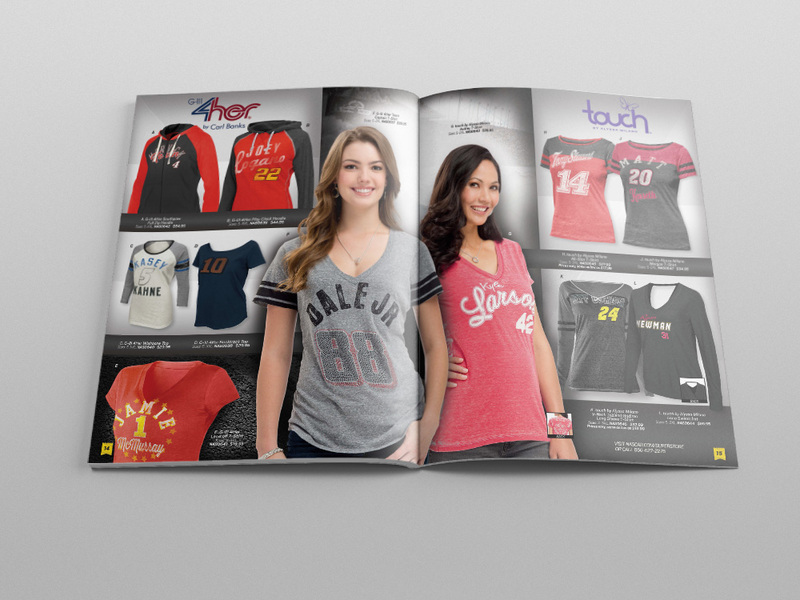 This catalog’s main concept was to connect with the authentic fan of NASCAR. 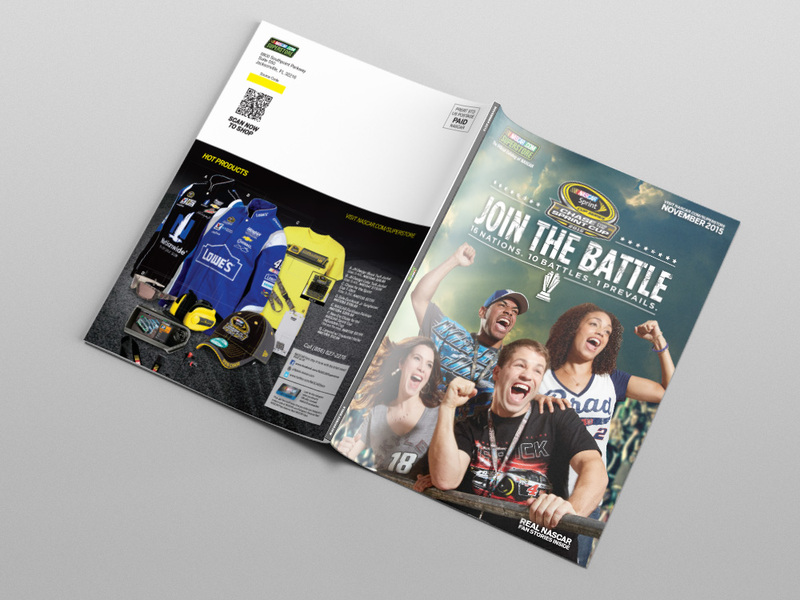 NASCAR fans are super passionate about their sport so the on the cover we utilized models, captured some genuine emotion while promoting The Chase which is NASCAR’s playoff equivalent. 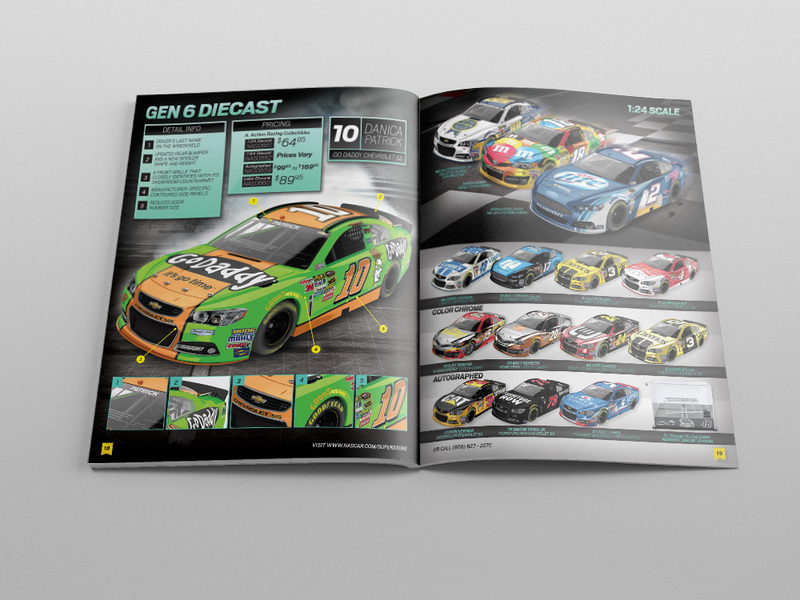 Inside we also promoted real NASCAR fan stories in an effort to further bridge that connection. 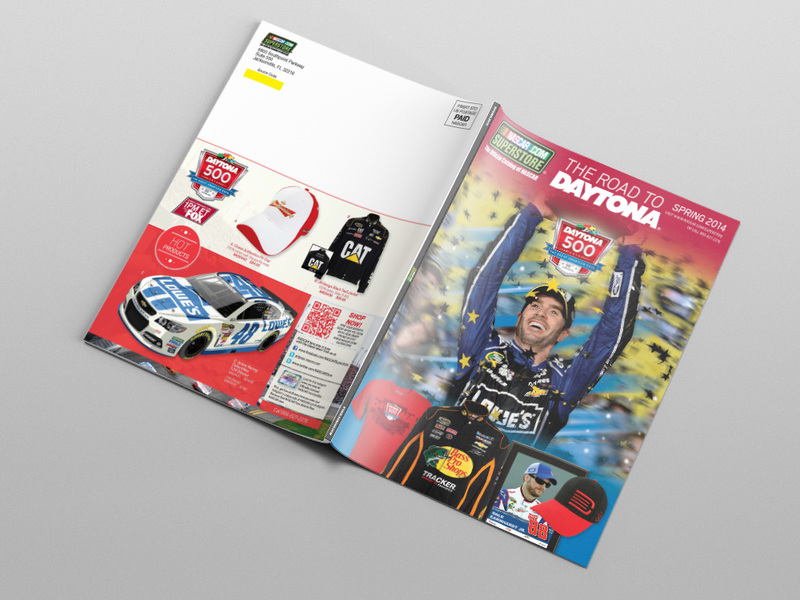 The catalog was a direct mail piece that was utilized as a vehicle to drive fans to store.NASCAR.com. 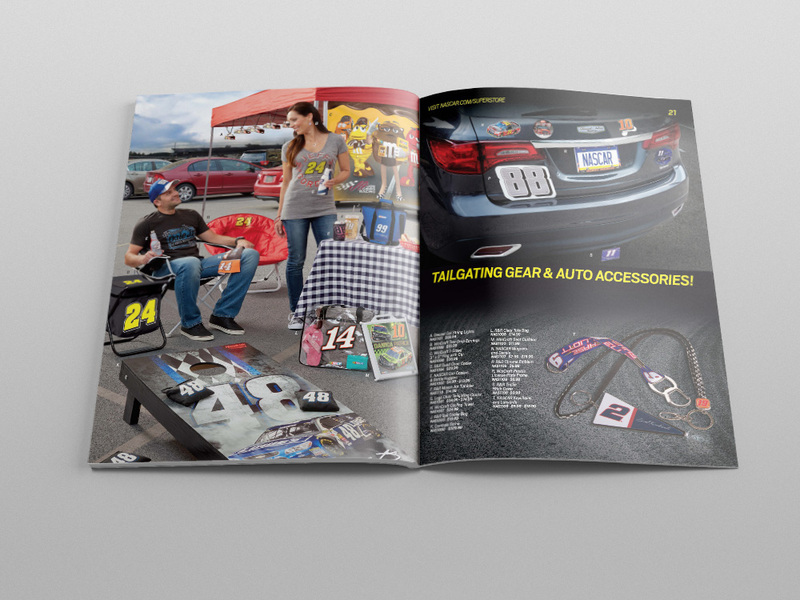 The spreads above feature front/back cover, outerwear, diecast cars, and tailgating gear. 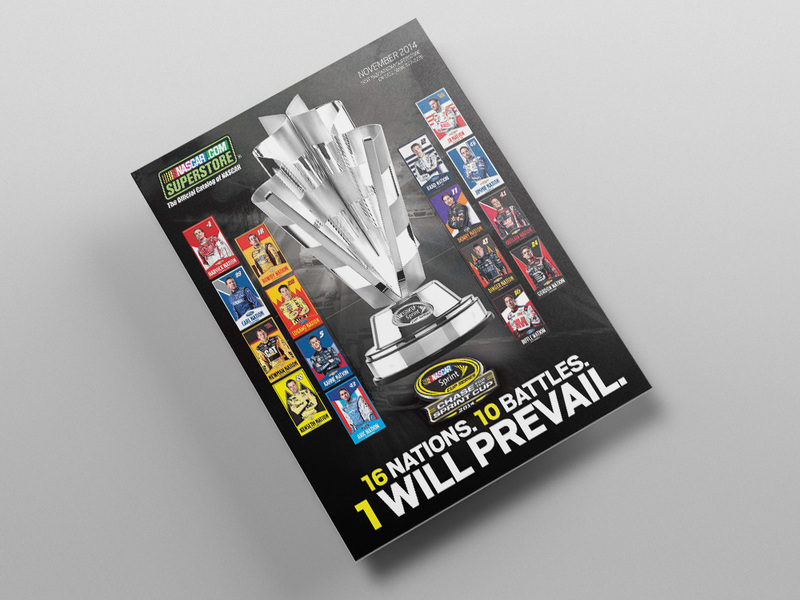 This catalog’s main concept was to promote The Chase (NASCAR’s playoff equivalent) similarly how a March Madness bracket promotes the college basketball playoffs. The sixteen driver teams also referred as nations competed in ten battles or races in The Chase to win the Sprint Cup. The cover design was to convey the dramatic environment that each driver’s nation experienced to battle to be number one! 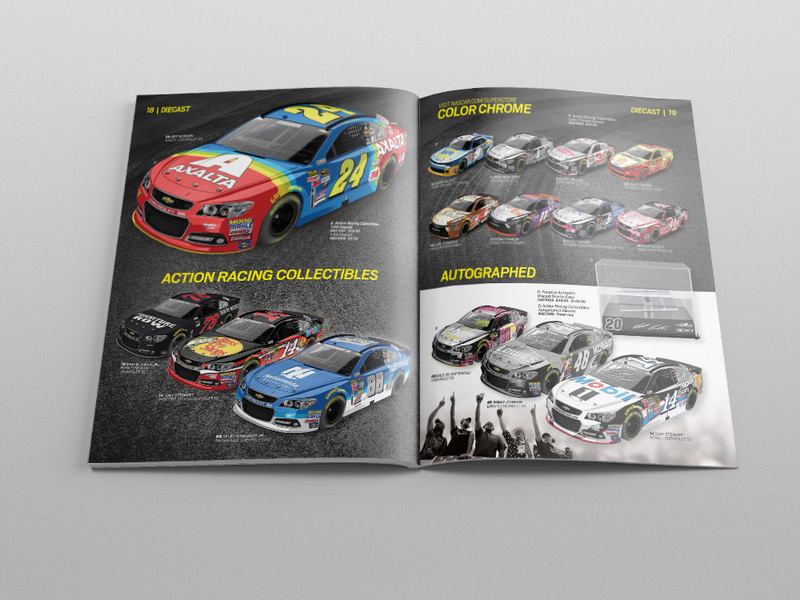 The catalog was a direct mail piece that was utilized as a vehicle to drive fans to store.NASCAR.com. 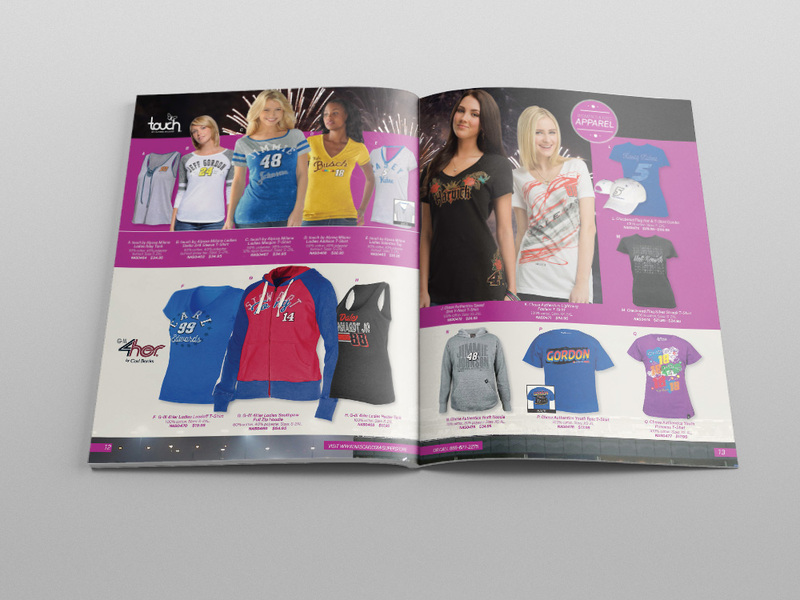 The spreads above feature front/back cover, men’s, women’s, and diecast cars. 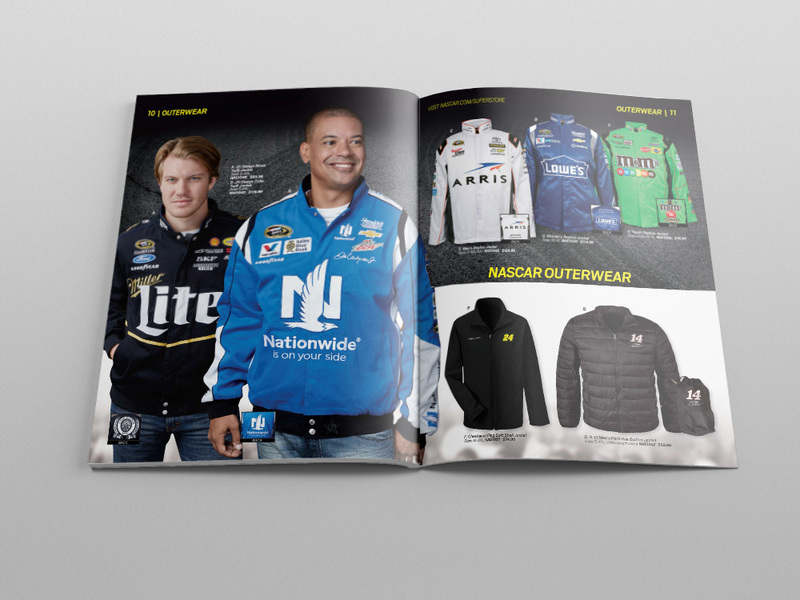 This catalog’s main concept was to promote Jimmy Johnson’s victory holding up the Sprint Cup after winning The Chase in 2013. 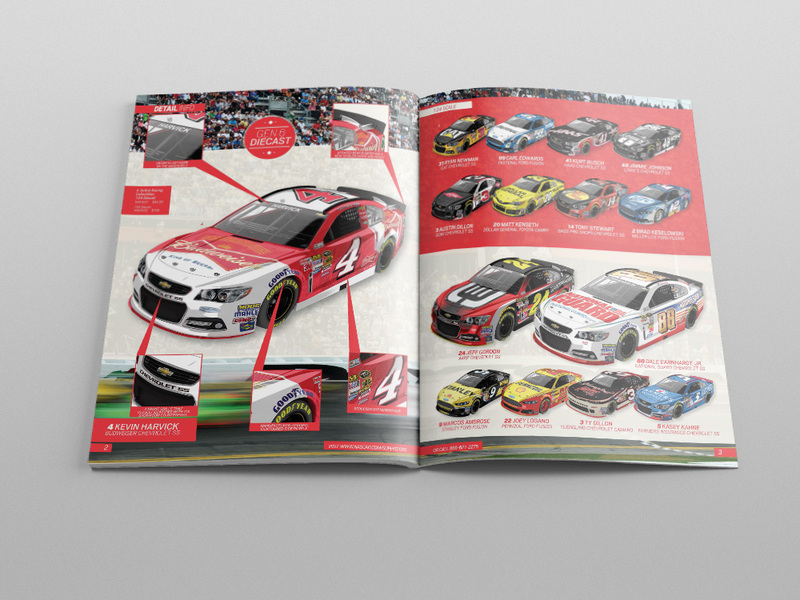 Using more of a color story and photography from previous races, the interior promoted official NASCAR products to authentic NASCAR fans. 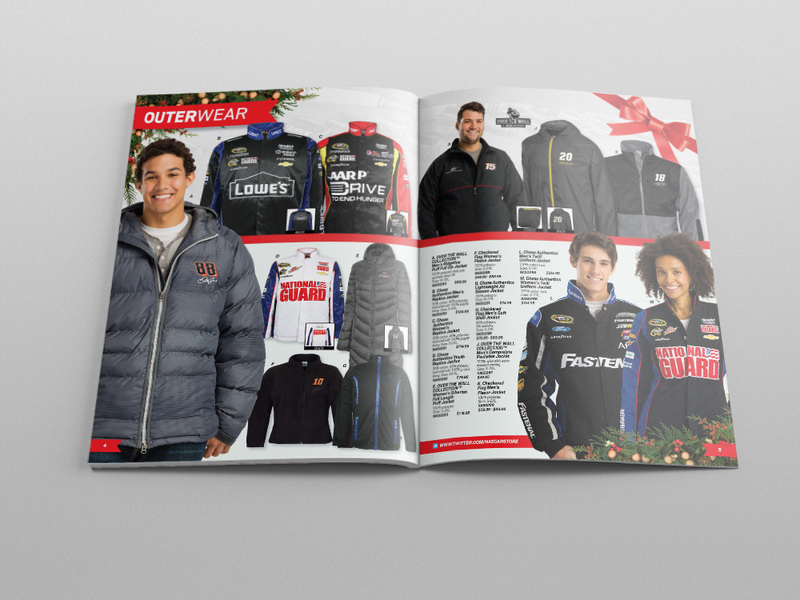 The catalog was a direct mail piece that was utilized as a vehicle to drive fans to store.NASCAR.com. 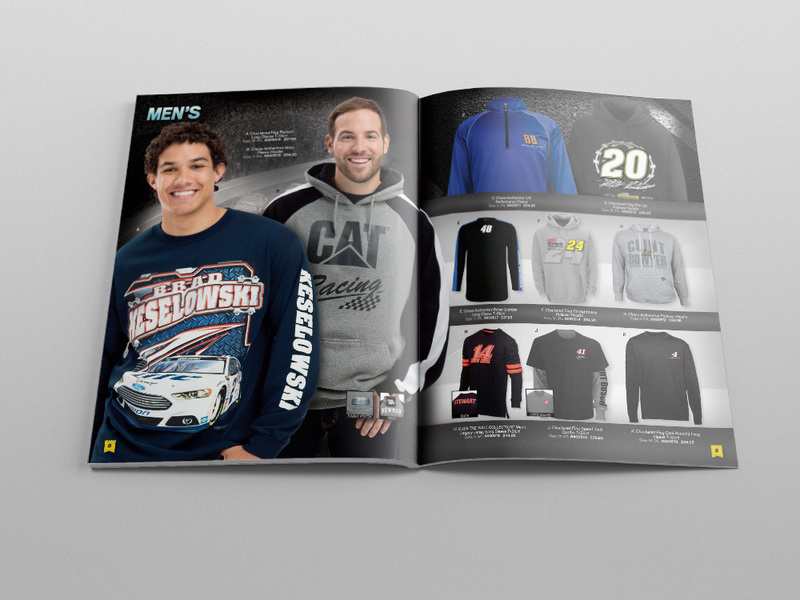 The spreads above feature front/back cover, men’s, women’s, and diecast cars. 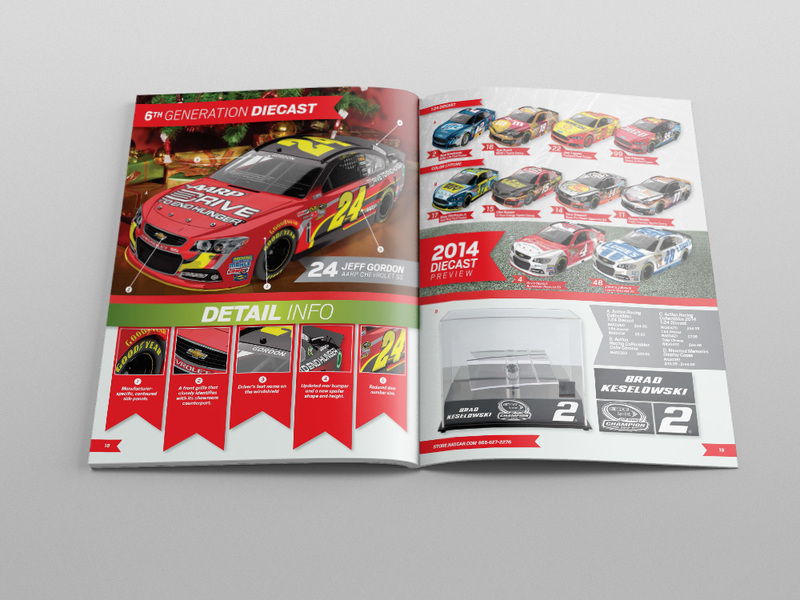 This catalog’s main concept was to promote the holiday season and NASCAR’s devotion to family. 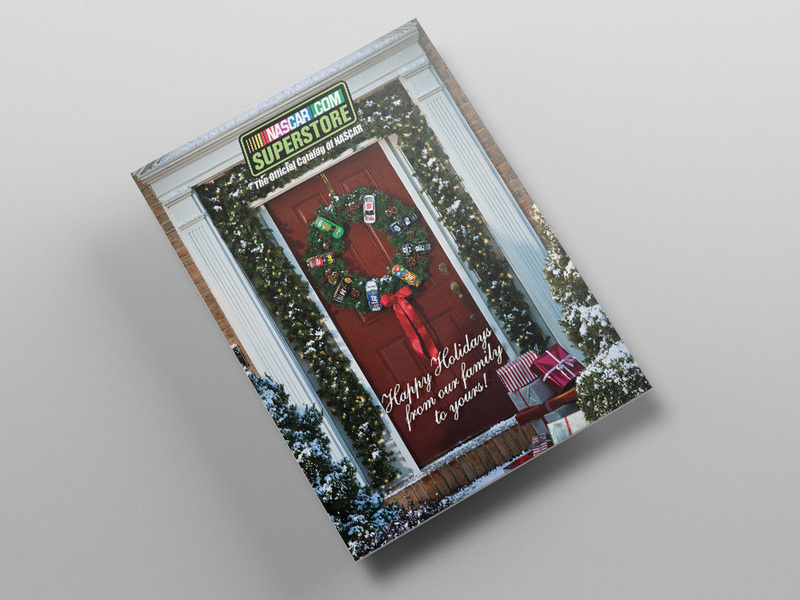 The cover has a holiday themed front door with a wreath of diecast NASCAR stock cars on it. The interior of the catalog used strong holiday themes such as ribbons, bows, and more wreath inspired foliage. 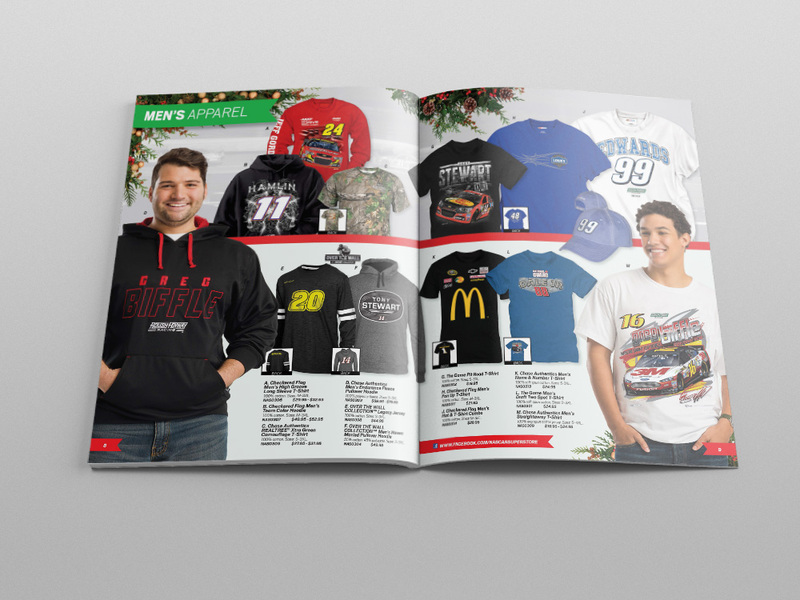 The catalog was a direct mail piece that was utilized as a vehicle to drive fans to store.NASCAR.com. 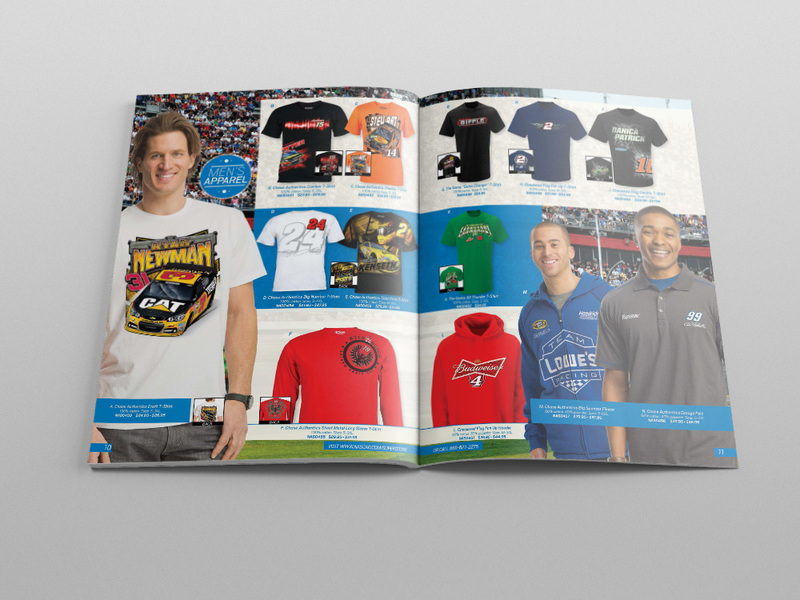 The spreads above feature front/back cover, outerwear, men’s, and diecast cars.